Here you will find all of your professional painter rags, protective painter gloves & Painter Tape needs. We carry most styles and sizes. If you can't find something that you're looking for, please give us a call at 1-800-227-8479. The ideal paint rag – soft, durable and absorbent for quick, easy clean-ups on the job. Lint - free, perfect for staining. Extra handy at home, in the garage and workshop to wipe, wax and polish anything and everything. Even wipes up oil spills! Machine wash and dry for extended use. 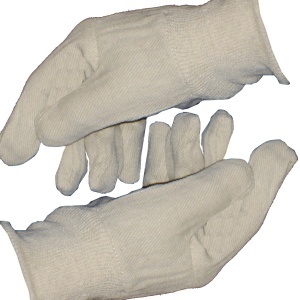 • Memphis 5020 5mil lightly powdered disposable vinyl gloves are durable yet soft for improved comfort. 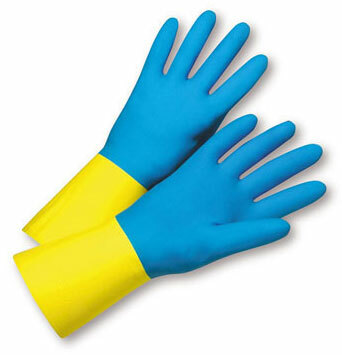 • These affordable latex-free vinyl gloves provide industrial grade protection for a wide variety of applications. 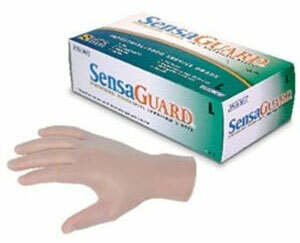 • Memphis 5020 vinly gloves are packaged in and easy to use dispenser box. 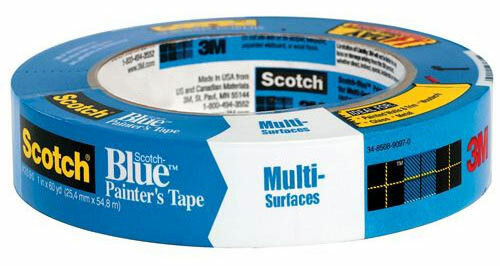 3M Scotch Blue Painters Tape is a type of masking tape that removes cleanly without adhesive transfer or surface damage for up to 14 days - even when exposed to direct sunlight. It is a medium adhesion masking tape that is ideal for painted walls and trim, woodwork, glass and metal (not for use on lacquer or faux finishes). Use Painters' Tape to mask off areas while applying paint, varnish, stain, and many other finishes. Flexible crepe backing allows for exceptional conformability to semi-smooth surfaces. If you've ever used cheap masking tape on a project and left it for several days or weeks or months, and then tried to remove the dried on adhesive, you'll really appreciate this tape. Professionals use 3M tapes for their high quality and consistency from roll to roll. Also known as Long-Mask or Blue Tape.